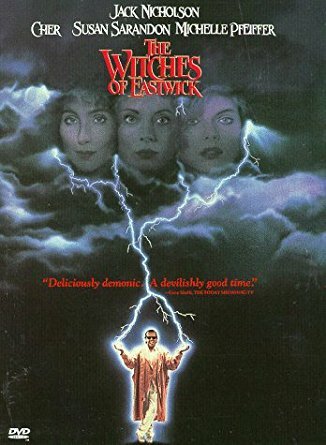 This week director Ramaa Mosley (The Brass Teapot, Tatterdemalion) stops by to discuss George Miller's The Witches of Eastwick. If you're looking for an in depth discussion on making independent feature films, this is a must listen for you. Ramaa opens up about the difficulties and rewards of creating your own movie - from fighting for what you need, to learning how to push back against producers interference, to working with actors. Plus, she discusses the influence that The Witches of Eastwick has had on her as an artist. April and Ramaa praise Jack Nicholson's performance as the devilish Daryl Van Horne, the masterful directing of George Miller, and the powerful women (Cher, Susan Sarandon, and Michelle Pfeiffer) that drive the film.